The Sahara Desert constitutes almost 90% of its landmass. 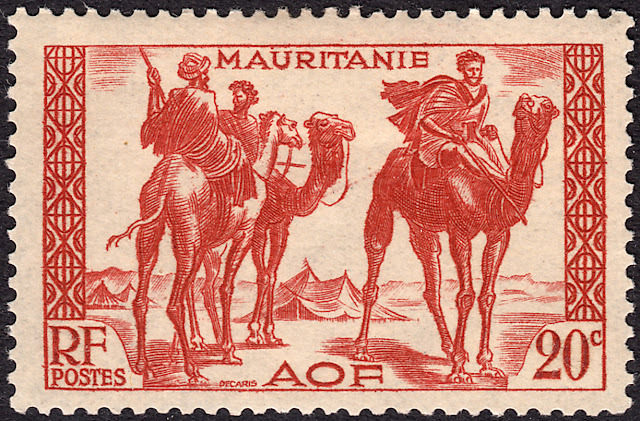 Camels are a typical mode of transport. And camel milk is offered to household guests. So where does one go for a camel ride in the desert or partake of some tasty of camel milk? 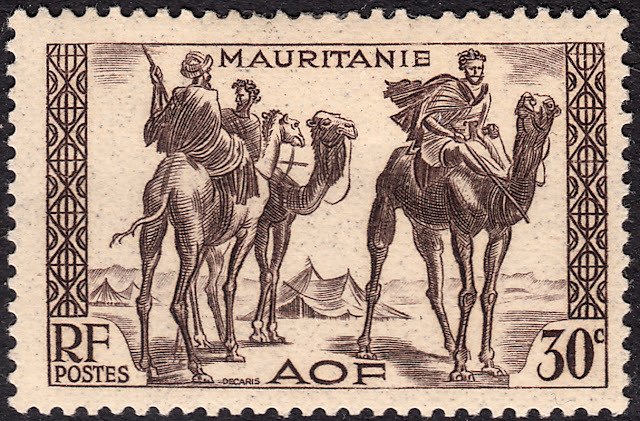 The answer is Mauritania, more formerly known as Islamic Republic of Mauritania. 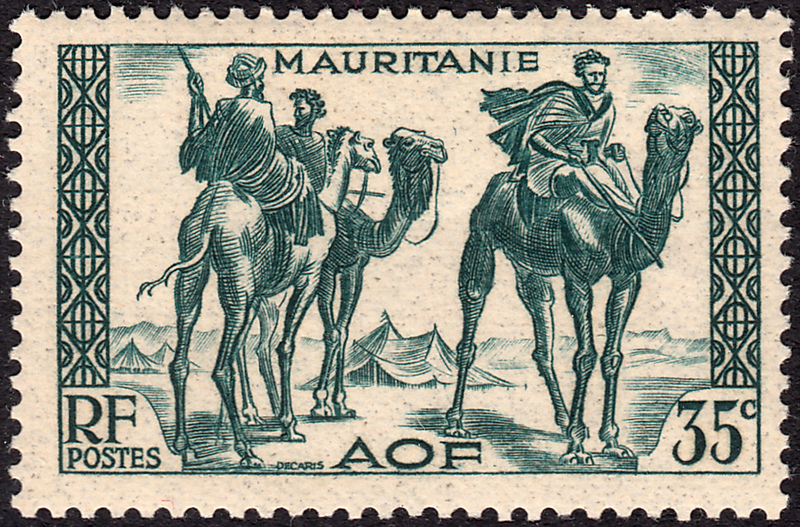 Mauritania is located in West Africa. It is bordered by five other African countries as well as the Atlantic Ocean. As I mentioned above, camels play an important role in Mauritanian daily life. 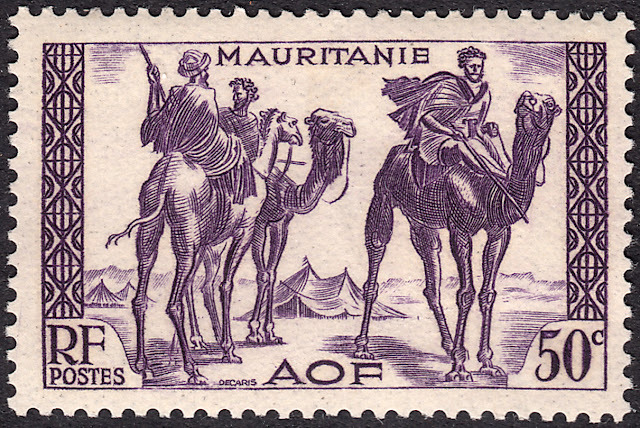 The species of camel found in Mauritania, and indeed other areas of Africa, is the one-humped dromedary (C. dromedarius). Of the three known species of camel in the world, the dromedary is the most common. 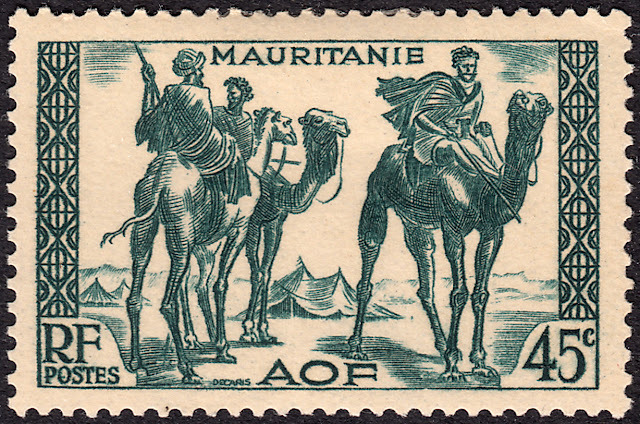 In Mauritania, camels are used for transport and they provide all important calcium in the diets of the locals in the form of milk and cheese. And even camel milk chocolate is now being produced! 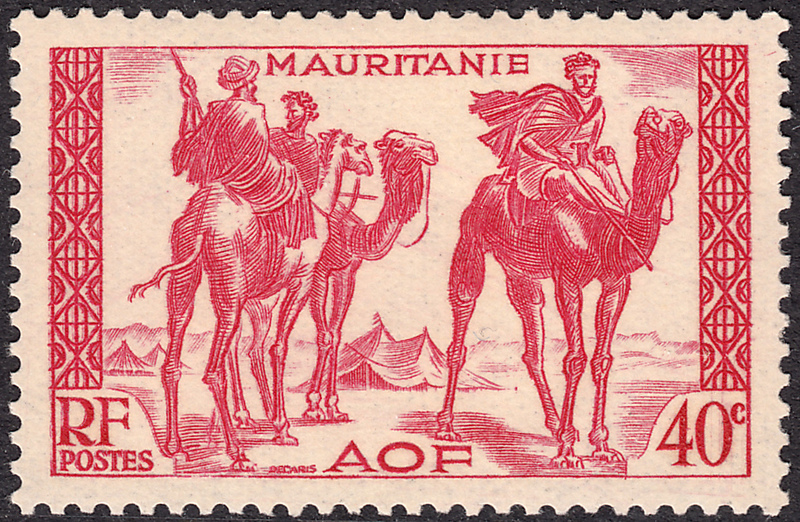 Between 1938-1940, the Institut de Gravure issued a set of 34 definitive stamps for use in Mauritania. 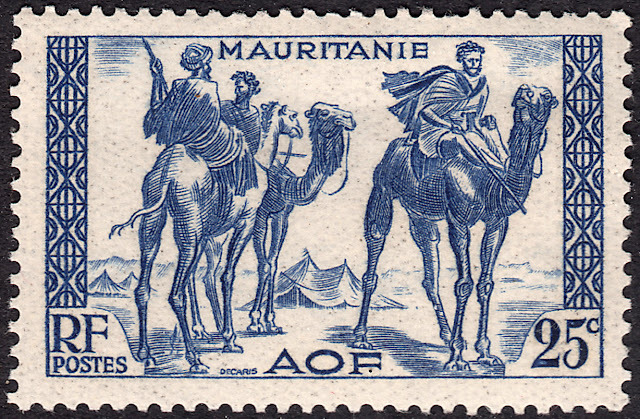 The set consisted four design types, one of which was engraved by Albert Decaris. This particular design features Mauritanian locals and their camels, and it was issued in seven different values. If you're a regular to my blogs, you will know that I like to collect and feature all values issued. I very much enjoy studying the effects different colours have on a design. Anywho, enough talk! Let's get to the images of this great design. It is worth noting that the 40c & 45c values were issued in 1940. Which value colour is your favourite? For me it is the 50c purple stamp.